Imagine an island with just enough room for a house, a tree, and two wrought-iron chairs for the owners to lounge in the baking sun. 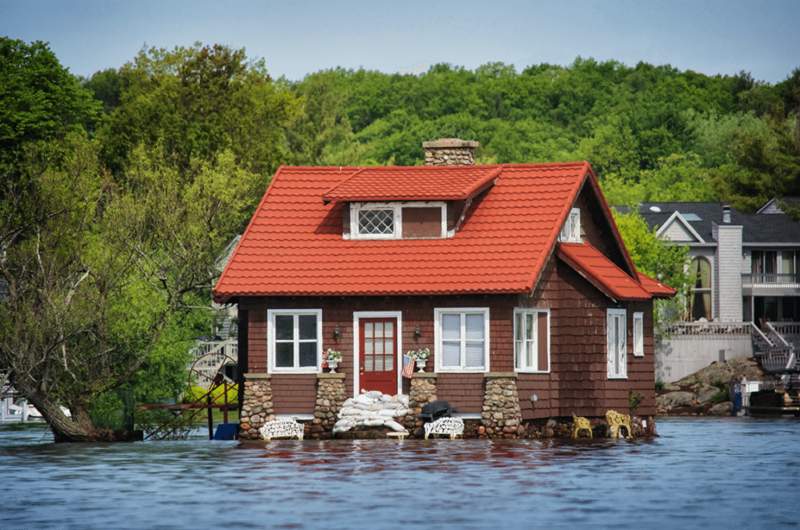 That is exactly the situation in Just Room Enough Island, a small private-owned island with literally just room enough for its owners’ domestic pleasures. 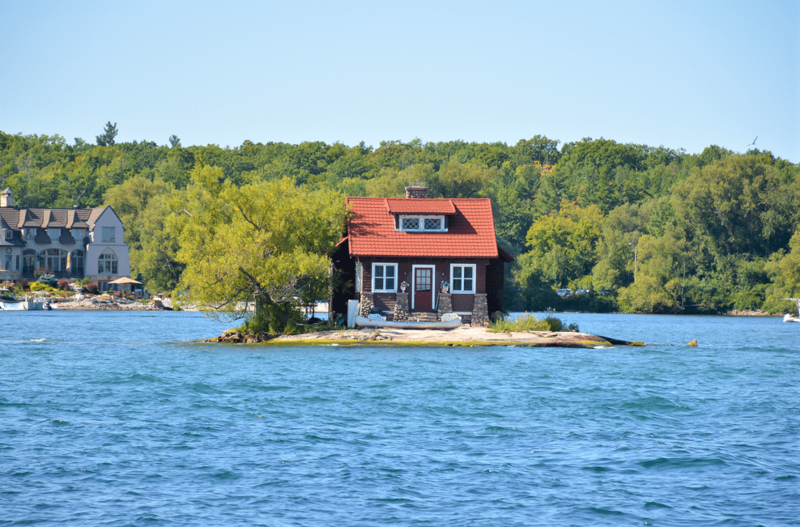 Located at the Canadian-US border on the St. Lawrence River east of Ontario, Just Room Enough Island was named by the Sizeland family who purchased it as a vacation lodge in the 1950s. What the Sizelands didn’t expect was that Just Room Enough Island would quickly become a popular tourist attraction because of its oddity. 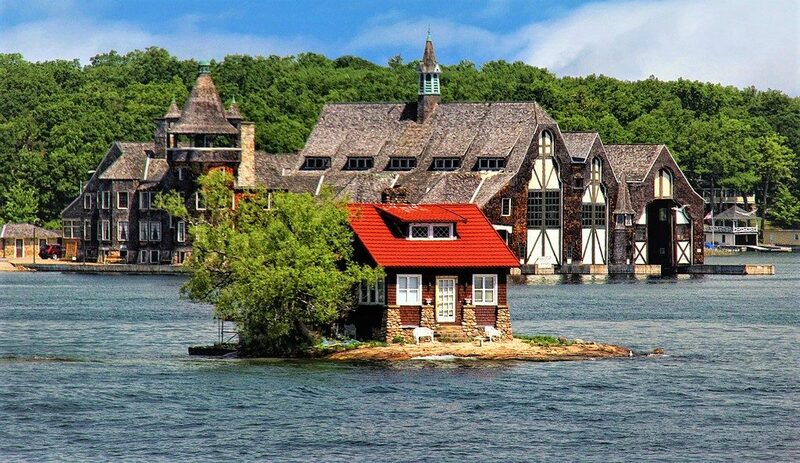 Just Room Enough Island is part of the Thousand Islands in the St. Lawrence River. It is the smallest of the 1,864 islands in the famous archipelago shared by the cities of Ontario and New York. 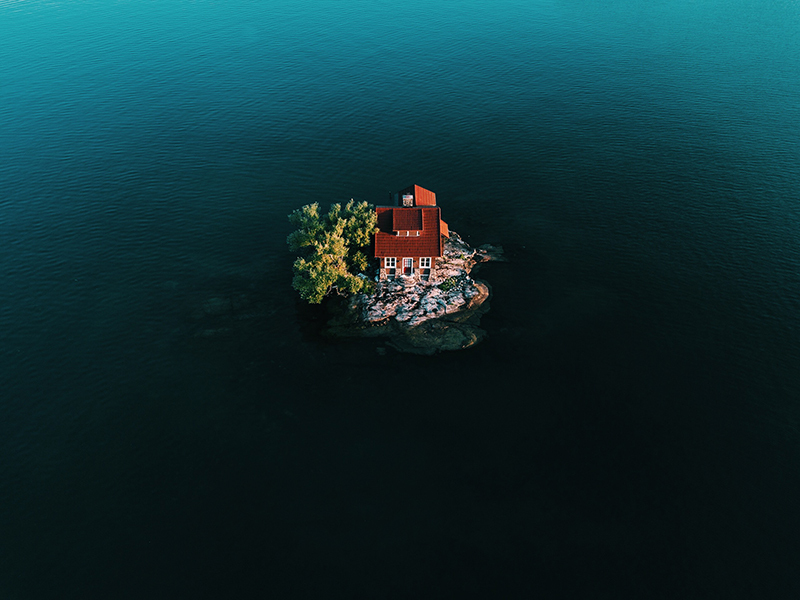 Just Room Enough Island counts as a legitimate part of the Thousand Islands because it satisfies these state-given criteria: 1) Above water level year round; 2) Have an area greater than 1 square foot (0.093 m2); and 3) Support at least one living tree.